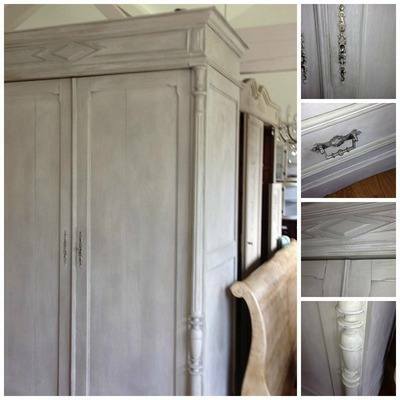 A beautiful Antique French Armoire with lovely detail to the sides and top. Solid oak interior, with a full hanging rail. Available to view at our showroom in Gayton Northants. Call us for more details on 07825 373144, We can arrange as courier service for you at an additional cost please contact us for further information.